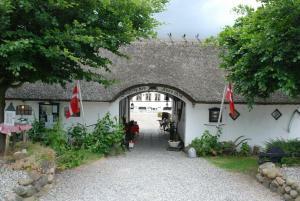 Featuring accommodation with a terrace, Four-Bedroom Holiday home in Gjern 3 is located in Gjern. Guests staying at this holiday home have access to a fully equipped kitchen. This holiday home has 4 bedrooms and a bathroom with a hot tub and a bath or shower. A TV is available. The holiday home offers a sauna. An outdoor swimming pool is available for guests at Four-Bedroom Holiday home in Gjern 3 to use. Arhus is 31 km from the accommodation, while Herning is 47 km away. 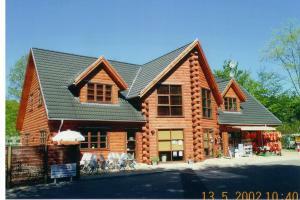 The nearest airport is Karup Airport, 38 km from Four-Bedroom Holiday home in Gjern 3. When would you like to stay at Four-Bedroom Holiday home in Gjern 3 ? This holiday home has a kitchen, hot tub and stovetop. Please notice that there are possible extra charges regarding Gas, Electricity and Heating. There are some facilities on the property that might require extra costs. Please print DanCenter voucher ticket and bring it with you on the day of arrival. Please note that the full amount of the reservation is due before arrival. Dancenter will send a confirmation with detailed payment information. After full payment is taken, the property's details, including the address and where to collect keys, will be emailed to you. Energy costs are not included in the price and will be charged according to guest use, upon departure. Please inform Four-Bedroom Holiday home in Gjern 3 in advance of your expected arrival time. You can use the Special Requests box when booking, or contact the property directly with the contact details provided in your confirmation. Each day we'll check prices and send you an email for your selected dates at Four-Bedroom Holiday home in Gjern 3. If you don't have specific dates but would like to check prices for say next weekend or say next month we can check the price too. Click to write a review and share your experience of Four-Bedroom Holiday home in Gjern 3 with other travellers.